In the article, Micro Tube Flies, we looked at the possibility of utilising the finest metal tubing available, i.e. 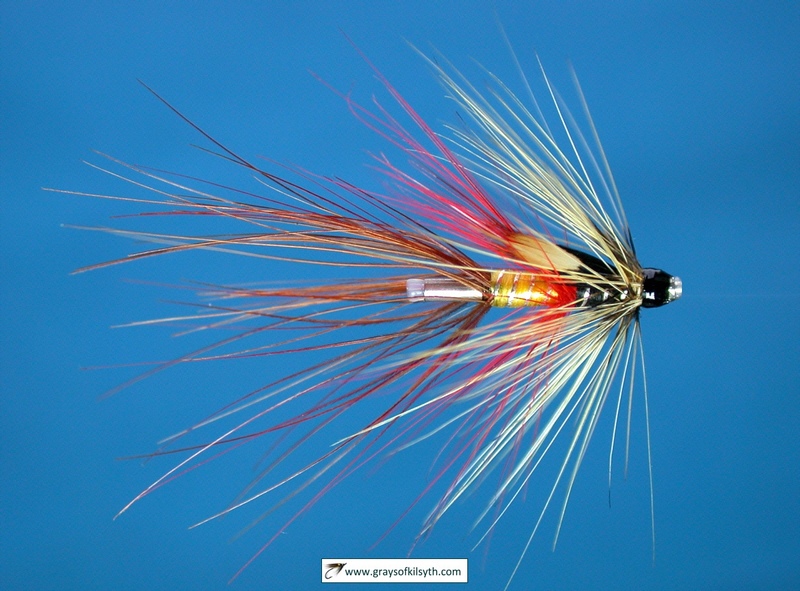 stainless steel hypodermic needle tubing, for making extremely fine and slim tube flies for salmon and, particularly, sea trout fishing. 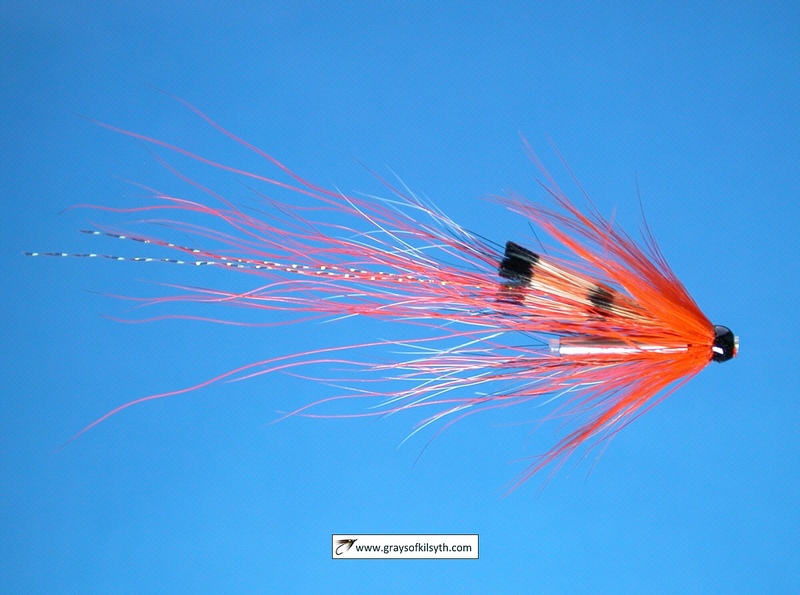 We chose 19 gauge stainless tubing to make slim tube flies with an outside diameter of 1.1 mm. It is possible, by using 20 gauge tubing, to make tubes with an outside diameter of less than one millimetre, as in the examples below, but anything narrower would, I think, be impractical. 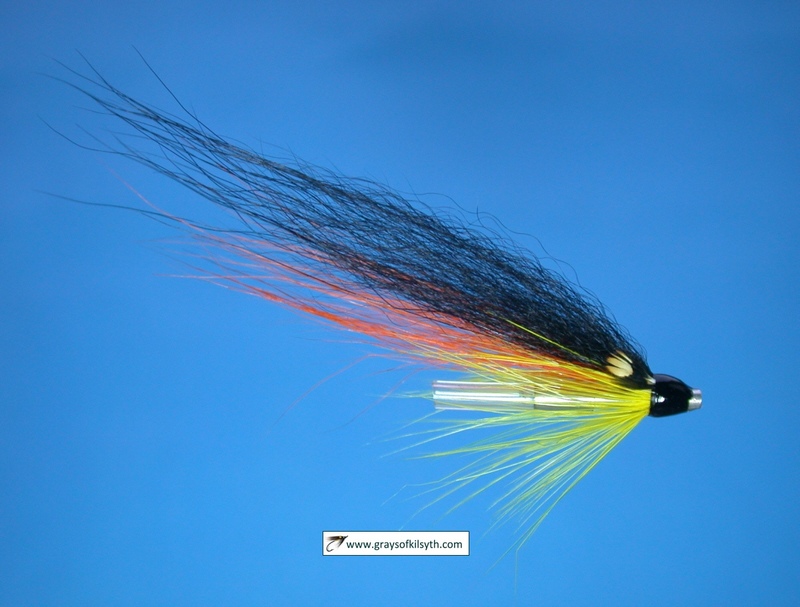 Only by using needles is it possible to create slimmer fishing flies. 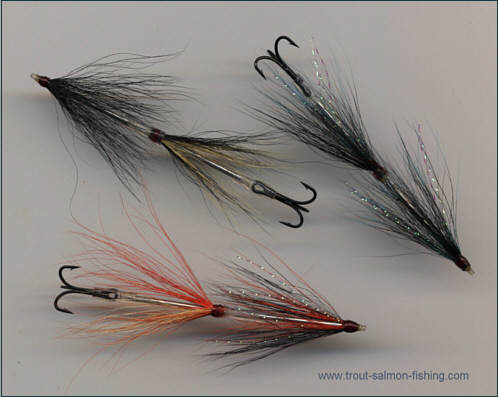 These micro tubes can, of course be made in various lengths, depending on the quarry and prevailing river conditions. 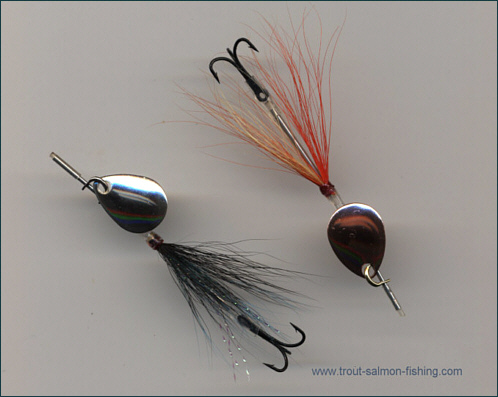 These very slim tube flies also lend themselves very well to being used in tandem, one linked behind the other to create a longer, but still very slim, fly for use in salmon or sea trout fishing. 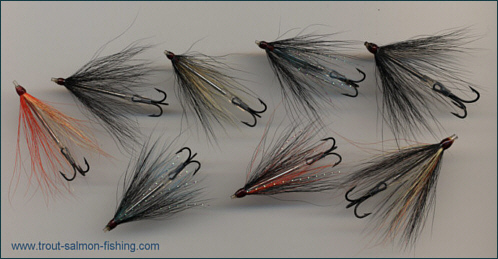 The photographs below shows a few slim and fairly sparsely dressed micro tube flies, which might be suitable for use as a night time sea trout fly or as a summer salmon fly. 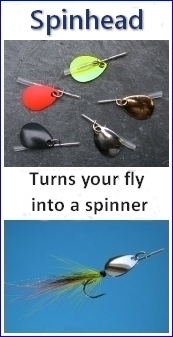 The tubes shown above can be linked together very simply by a length of silicone rubber, the same kind of tubing we use to secure the small treble at the rear of the single fly, to create a longer tandem tube fly, which might be useful in the colder water common at the beginning and end of the fishing season, or in higher water conditions in summer.